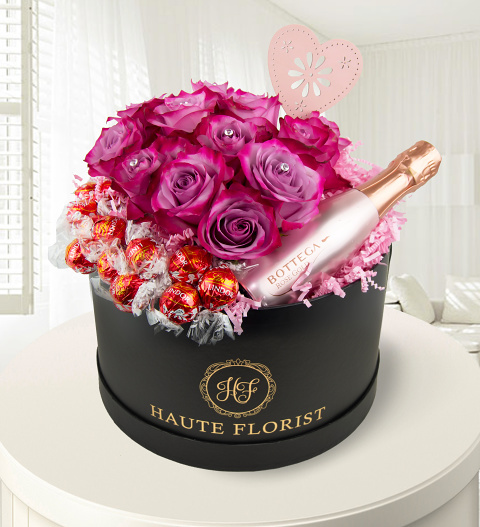 For those special occasions, send the best celebrations with this delightful Haute Florist hat box arranged with Luxury deep water roses with an abundance of fine Belgian Lindt chocolates completed with a bottle of Bottega Prosecco. Everything needed for the celebration. Whether it&apos;s for a special birthday or anniversary, this is a perfect choice. This Luxury Hat Box is hand designed by our top florists.